Justin Lemphers says the Yukon is trailing behind the rest of Canada when it comes to workplace health and safety. 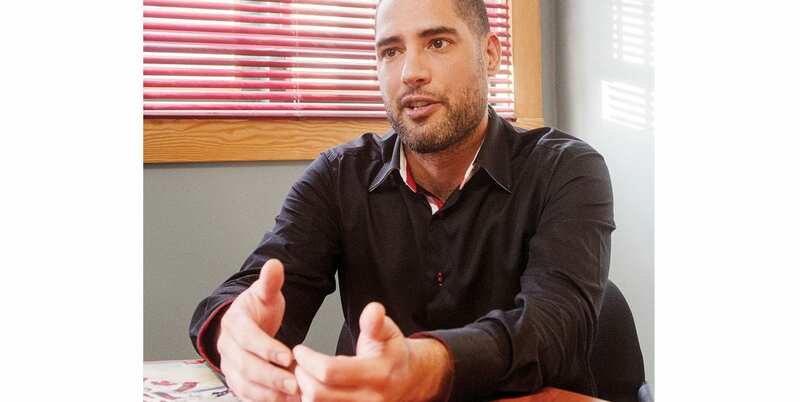 The new president of the Yukon Federation of Labour believes the Yukon could do better at acknowledging bullying, harassment and stress in the workplace. The territory can also do more to accommodate workers struggling with mental health issues. “Those issues are becoming more recognized,” Lemphers said in an interview this week at his office on Strickland Street. Other jurisdictions in Canada place emphasis on mental health during health and safety training courses, said Lemphers. The Yukon should follow suit. There’s room for improvement in the regulations surrounding accommodation of employees with intellectual and physical disabilities, and addictions, he said. “The Yukon Federation of Labour already has a good working relationship with Yukon Workers’ Health and Safety Compensation Board, and we’ve been in talks about what needs to happen in the Yukon,” he said. Before being elected as president last October, Lemphers was a shop steward with the Yukon Employees Union (YEU) and saw up-close how mental health issues are dealt with on the job. “There’s an identified need to correct some, often very egregious, workplace issues,” he said. In 2016, the Yukon Liberals campaigned on a promise to amend the Yukon Workers’ Compensation Act so that if a first-responder is diagnosed with Post-Traumatic Stress Disorder, it’s presumed to be work-related. First, said Lemphers, let’s start thinking in terms of Post-Traumatic Stress Injury (PTSI). The medical definition of disorder is vague, sometimes contentious, and can have negative connotations. “With injury, the focus is healing and wellness after the fact,” he said. Lemphers believes the scope of the Liberals’ promise could be expanded to include workers who aren’t technically emergency responders, but who encounter disturbing scenes as part of their jobs. Highways and maintenance crews come across vehicle crashes and people who are severely injured, he said, and conservation officers are called in to clean up kill scenes involving animals. “Those can be pretty traumatic incidents,” he said. Lemphers, who fully assumed office mid-November, said he’s been thinking a lot lately about workplace culture. The social norms of one workplace – tolerance for offensive language, for example – may be wildly inappropriate in the context of another workplace. “In that group, their code of conduct, their ethics, are all upheld and yet they use some pretty outrageous language towards each other,” said Lemphers. Still, he added, employers must take seriously complaints from employees. It’s also important that workers feel they can come forward with complaints without fear of reprisal or recrimination from superiors or coworkers, he said. Lemphers was active in the YEU for nearly a decade and served two terms as an executive member. In 2013, he was made first vice-president of the labour federation and in 2016, he was elected president. His is the only full-time paid position at the federation. Former president Vikki Quocksister decided not to seek re-election in 2016. The federation has about 6,000 members and comprises the YEU, Unifor, United Steelworkers, United Association of Plumbers and Pipefitters, the Public Service Alliance of Canada North, the International Brotherhood of Electrical Workers and the Canadian Union of Postal Workers. The federation hopes the new Liberal government will do more to recognize red seal certifications, said Lemphers. The umbrella organization wants the Yukon government and Crown corporations doing business in the Yukon, to make it a tender requirement to include red seal-certified journeypeople wherever possible. According to union members in the building trades, red-seal ticketed employees are called upon less and less these days, said Lemphers. One reason is that they work for a higher rate of pay than general contractors, who aren’t certified. Red-seal journeypeople are knowledgeable in building codes and standards and hiring them is in the interest of public health and safety, said Lemphers. Not only are red-seal tradespeople educated at a high level, but they are also authorized to log hours for workers training for the red seal. “Because there’s more general contractors, it’s hard to find people to work for that actually have the ability to do the hours tabulation so you meet the red seal standard,” said Lemphers. 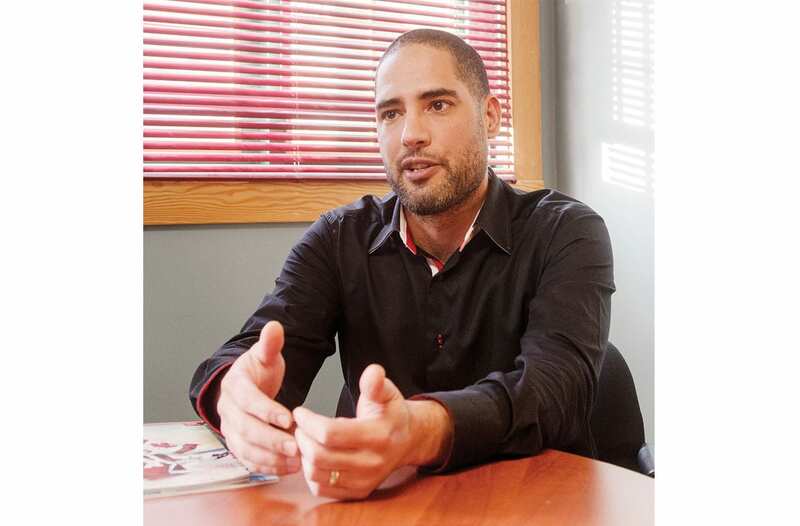 Though he doesn’t yet have meetings scheduled with ministers, Lemphers hopes to sit down with Pauline Frost, the minister of Health and Social Services, and John Streicker, the minister of Community Services, sometime this year. In December 2016, B.C.-based Pitt Meadows Plumbing and Mechanical Ltd. posted a Yukon job that undercut the territory’s fair wage schedule. After inquiries from the Star, the company’s president said he wasn’t aware Pitt Meadows had been in violation of the fair wage requirements, and the job post was taken offline. Lemphers said the Pitt Meadows debacle is not an isolated incident. He said application of the fair wage schedule, especially by contractors who come up from the south, is inconsistent and discrepancies can easily go unnoticed. “You have to actually know that the wage you’re looking at in a position is incorrect, and that that contract is supposed to be following the fair wage schedule, to have a valid compliant,” he said. The Labour Relations Board handles wage complaints, and decides the appropriate penalty. Unions continue to be a force of progressive change to the benefit of all workers, said Lemphers. “Anyone who is grateful for sick leave, or vacation leave, or maternity, or overtime hours, or weekends, they should take a moment just to realize that all those things have stemmed from union activism,” he said.